KUCHING: Parti Keadilan Rakyat (PKR) Sarawak legal team today filed an application for criminal revision at the court registry here over the case of a man who was sentenced to jail and fined for insulting Islam on Facebook. The convict Alister Cogia, 22, is said to be suffering from mental illness but was sentenced by the Sessions Court here to a total of 10 years in prison and a fine of RM50,000 after pleading guilty to uploading on social media offensive materials about Islam and Prophet Muhammad. Alister, who was not represented by a counsel then, was convicted of five charges under Section 298A (1)(a) of the Penal Code, and five charges under Section 233 of the Multimedia and Communications Act 1998. According to a member of PKR legal team Desmond Kho, the Court Registrar has taken cognizance of the matter as per their application. Kho said hearing for their application has been fixed on this coming Wednesday (March 13). 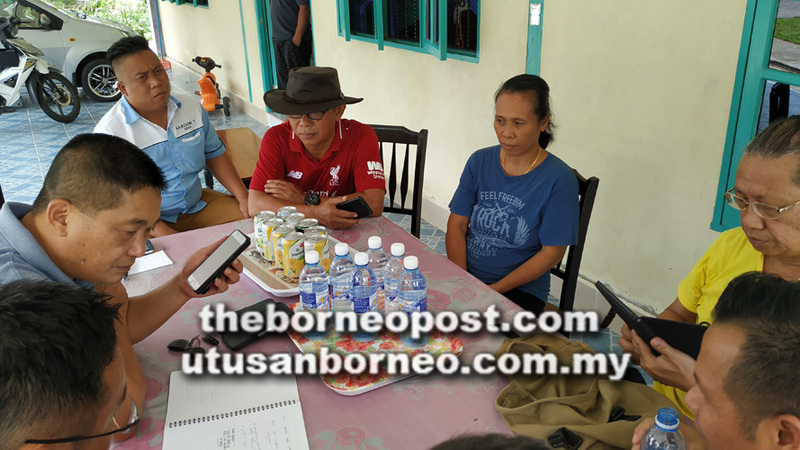 The filing of the application for criminal revision was a follow up to a visit by the PKR legal team led by Batu Lintang assemblyman See Chee How to Alister’s family in Singai, Bau last Saturday. See told The Borneo Post on Saturday that the criminal revision is to ensure that there is regularity of the proceedings and correctness, legality and propriety of the Court’s findings, sentence, and order recorded and passed. “It is our principle not to support or tolerate any insult or abuse towards any religion in our country. In this case, the family had approached our local divisional leaders and sought our help, indicating that Alister is suffering behavioural difficulties and requires psychiatric advice and therapy,” he said. See said the legal team, which also comprises counsels Francis Teron and Jeffery Mok, would give an account of Alister’s mental state. “We will suggest that the case be recalled and request that the court will seek the opinion of a psychiatrist to ensure that there is no failure of justice in the conviction and sentence,” said See. Alister’s mother Alen Rijod said her son had shown signs of mental illness since young. She said among her five children, he was the only one with no friends, kept to himself, and would stay cooped up in his room. He also refused to continue schooling halfway through Form 1. Alen said her second child, who was not working, would sometimes get into an angry state and shout while alone in his room. “Just two weeks ago, he did something similar with another of his Facebook accounts when someone reported him. He was taken away by the police and kept in the Bau police station for a night, but he was released without charges. “Worried about his worsening mental state, we had decided to bring him for a psychiatric examination and advice. His uncle brought him to Hospital Sentosa end of last month, but we were told to bring him for examination at a general hospital first and obtain a referral to be examined further in Hospital Sentosa,” she said. Alen said Alister had become very irritated and refused to go to Bau Hospital for an examination. “We didn’t know what he did in the room or online until the police came knocking. We later found out that he has multiple Facebook accounts and goes around posting weird comments,” she said. She added the family had not seen or heard from Alister since the police came back for him a second time on March 3.